On May 30th, you can stay at the world-famous Maracanã Stadium, right in the heart of Rio de Janeiro. So how do you make this Night At the Brazilian temple of soccer happen? Simply enter to win by 11:59 p.m. BRT on 5/21/15. The iconic soccer temple known as Maracanã has been transformed into a once-in-a-lifetime overnight experience hosted by Brazilian soccer star, Renato Gaúcho. On May 30, the evening before the popular Fla-Flu derby match in Rio de Janeiro, a lucky winner and their guest will have the chance to sleep inside a redesigned VIP suite, complete with its own bed, bath and foosball table. That’s right: we’re bringing to life an idea that thousands of sports fans have only dreamt about. And the temporary Airbnb listing will feature one of the best seats in the house: a midfield view of the entire stadium. Do you eat, sleep, and breathe soccer? Because if you’re the winner of this Night At Maracanã, your host Renato Gaúcho will be welcoming you to one of the best experiences of your life. Get ready for a very special guided tour of the stadium, including visits to the President’s Suite, locker rooms and press room, followed by some time on the field to practice your penalty kicks. After your tours and practice session, Gaúcho will meet you for a very different kind of picnic, with traditional Brazilian fare and a private performance from local Rio musicians right there on the center of the Maracanã field. That evening, clean up in the same locker room showers that the teams use, then it’s off to bed in your VIP suite. Rest up, because you’ll be waking up for a full day of festivities during the Fla-Flu derby game. And yes, you’ll be taking it all in from the comfort of your very own VIP suite. Built in 1950, Maracanã has hosted countless major soccer games in Brazil including last year’s 2014 FIFA World Cup finals match in which Germany defeated Argentina to become the current world champion. The stadium will also be one of the main venues for the Rio 2016 Olympic Games including both the opening and closing ceremonies. That is, of course, after becoming the home for one lucky guest during this Night At experience. So how can you win an overnight stay at Maracanã? Tell us by 11:59 p.m. Brazil time on 5/21/15 why you (and a very lucky +1) should be the fans who experience this Night At the Maracanã Stadium! • No ball boys provided. If you kick the ball outside the field, you will be expected to fetch it. The Sponsor of this Contest (“Contest”) is Airbnb Ireland, The Watermarque Building, South Lotts Road, Dublin 4, Ireland (“Airbnb”). Participants who have reached the age of 18 at the time of participation, may enter the Contest from 13 May 2015 at 10 am Brasília Time until 21 May 2015 at 11:59 pm Brasília Time by following the process below. Submissions must be received through the below process by the close of the Contest to be eligible. 2.Send a message in the form of a story of 100 words maximum – in English – explaining what's your biggest dream that is related to soccer (the “Submission”). Each participant can only participate once and you represent that you are more than 18 years old. Airbnb is not responsible for computer or network problems, problems with servers, problems with email accounts or the failure to receive any submission for any reason whatsoever. By entering the Contest, participants agree that they may be contacted by Airbnb in relation to the Contest and agree to take part in any publicity that occurs as a result of the Contest and grant Airbnb and their agents the right to use their name and/or image. The Contest is not open to residents from: North Korea, Cuba, Iran, Indonesia. This means that you are not allowed to participate if you reside in one of these jurisdictions. The Contest is for residents of all other countries of the world and by entering participants agree that the individual winners will be selected from all entries received from these countries. Directors, officers, employees, independent contractors and agents of Partner and Airbnb, or their subsidiaries or affiliates, and the members of their immediate families or households, are not eligible. 70% - Originality and creativity of the submitted story. Does it surprise and delight us? 30% - Spirit of the submission. How does your submission relate to Maracanã? The panel of judges will be comprised of members of the marketing teams of Airbnb and Maracanã, and one independent judge. The judges’ decisions are final and binding. If substantially similar Submissions are submitted by different entrants, judges will select only the best version of that idea, as determined by the judges in their sole discretion. Submissions/content must be developed by the participant and must not violate the rights of any other party, including but not limited to intellectual property rights or rights of privacy, publicity or other moral rights. Submissions must NOT contain: (a) advertising or commercial content (b) content that endorses/promotes illegal or harmful activity; (c) violent, profane, vulgar, obscene, defamatory or otherwise objectionable material; (d) adult material; or (e) defamatory content. The Sponsor reserves the right to disqualify any participant who violates these prohibitions, or that the Sponsor deem inappropriate for any reason, in their sole discretion. By submitting a submission, participants grant each of Airbnb and Partner a perpetual (or for the term of the protection granted by the relevant intellectual property rights), worldwide, irrevocable, royalty-free license to transform, edit, modify, reproduce, distribute, transmit, publish, broadcast, perform, display, or otherwise use the submitted story, in whole or in part, with or without modifications, in any form or medium (including but not limited to: internet, any printed medium distributed via press, billposting, point of sale advertising, flyers, leaflets…), whether now existing or later developed, for entertainment, promotional and/or advertising purposes and/or any other purpose. To the greatest extent permitted by law, participants agree not to invoke any so-called moral rights in relation to their submissions (including without limitation the right to be identified as the creator of the work and the right to object to derogatory treatment of the work). For the avoidance of doubt, the license referred to in this paragraph is a fully paid-up license. Only the winners will receive a prize according to the next paragraph: ‘Prize’. -A night for two persons at the Maracanã Stadium, Avenida Presidente Castelo Branco, s/n - Portão 2 - Maracanã, Rio de Janeiro - RJ, 20271-130, Brazil. The night will take place from the 30th of May 2015 to the 31st of May 2015, at the Sponsor’s absolute discretion. -Return trip for two persons to Rio de Janeiro, Brazil in Economy class. - Two tickets for the match that will take place in Maracanã on the 31st of May, 2015. The prize shall not include: visa fees (if applicable), transfer fees in the winner’s local country of residence or any meals or expenses not expressly stated in the prize description. Participants represent that they are available to travel to Rio de Janeiro to be there by 4 pm local time on 30 and 31 May 2015 (winners will be notified of the date at which they will be required to travel once they have accepted the prize). Participants must have a valid passport to travel to Brazil during the period of the trip to redeem the prize. The total value of the prize is approximately 5000 USD (or the equivalent in local currency). The Sponsor is allowed to ask for a written confirmation or proof of the place of residence and age of the winner before awarding the prize, including the appropriate legal authorization from parents or legal guardians in case the winner's guest is underaged. No substitution or transfer of the prize is permitted. The prize may not be redeemed for cash.  If due to circumstances beyond Airbnb's control, Airbnb is unable to provide the stated prize, Airbnb reserves the right to award, as substitute, a prize of equal or higher value. The winner(s) will be selected on May 21 2015 and will be notified by email or via the Airbnb message center within 72 hours. Each winner must confirm their acceptance of the Prize in writing within 24 hours of such notification. The Sponsor reserves the right to disqualify any winner who does not confirm acceptance of the Prize in accordance with these Official Rules, and reserves the right to select an alternative winner in such event. In the event of a dispute about the identity of a winner, the Sponsor will award the prize to the authorized account holder of the Airbnb account corresponding to the email address that sent the winning entry. The Sponsor may publicly announce the name of the winner within 30 days of the close of the Contest, including through social media channels such as twitter (@airbnb) and facebook. Prize Conditions. Save as may be required by any applicable mandatory laws, the prize is provided as-is with no express or implied warranty or guarantee. This Contest is subject to applicable local laws and regulations, including but not limited to tax laws. The winner is solely responsible for any taxes applicable to or resulting from the award of the prize, and the Sponsor will have no obligation for any taxes that may be payable. Sponsor may require the winner, and where applicable, the winner’s guest, to sign and return an affidavit of eligibility, a liability release and a publicity release permitting the Sponsor to use the winner’s name, image and winning Submission in promotional materials where permitted by law and subject to applicable rules. Refusal or inability to sign and return such forms within 72 hours of receipt may result in disqualification and awarding of prize to an alternate winner. The winner represents that they will behave, and will ensure that their guest will behave, as good citizens during their stay at the Maracanã Stadium and that they will cooperate with the security personnel that will be present at Maracanã on 30 – 31 May 2015. The winner understands that failure to comply with this requirement may result in their eviction from the Maracanã Stadium at the Sponsor’s sole discretion. By entering this Contest, participants release the Sponsor and its agents from any liability whatsoever, on any theory, and waive all claims and causes of action arising from or related to this Contest and/or fulfillment and/or use of the Prize, to the extent permitted by applicable law. However, nothing in these Official Rules limits or excludes any person’s or entity’s liability for death or personal injury caused by their negligence or any other liability which may not as a matter of law be limited. such modification is not possible, the relevant provision or part-provision shall be deemed deleted. Any modification to or deletion of a provision or part-provision under this clause shall not affect the validity and enforceability of the rest of this agreement. To the extent permitted by applicable law, the Sponsor may suspend, modify or terminate the Contest if they believe, in their sole discretion, that malfunction, error, disruption or damage is impairing or will impair the administration, security, fairness, integrity or proper conduct of the Contest, in which case the prizes will be awarded among the eligible entries received that were unaffected by the problem, if possible. With reference to the Italian participants please note that this Contest does not constitute a “Manifestazione a Premio” under the provisions of D.P.R. 430/2001 because winners are selected and prizes are assigned to them on the basis of their personal writing talent and consequently the exception described under Article 6, par. 1, letter a) of the above mentioned decree shall apply. Olá, meu nome é Renato Portaluppi, mais conhecido como Renato Gaucho ou "O Rei do Rio". Fui jogador profissional de futebol por 17 anos, atuando como titular da seleção brasileira e de diversos times do Rio de Janeiro - muitos dos quais também tive a honra de me tornar treinador posteriormente. Vivi muitas emoções no Maracanã, onde me sinto em casa, e espero fazer com que você se sinta em casa aqui também. Hi, I'm Renato Portaluppi, also known as Renato Gaucho or the “King of Rio”. I was a professional soccer player for 17 years, having played on the Brazil national soccer team and all major teams from the state of Rio de Janeiro - many of which I had the chance to coach afterwards. It's been an honor to have played and served as coach at Maracanã, where I feel very much at home. I hope to show you around and make you feel right at home here, too.